Are you fulfilling your potential? Or is it OK to be "Missing Out"? 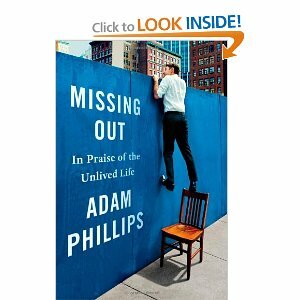 The current February 25, 2013, issue of The New Yorker contains a review of UK psychoanalytic-writer Adam Phillips’s latest book Missing Out: In Praise of the Unlived Life. AMHF applauds the discovery of any thoughtful, mainstream writing (and reviewing) on psychoanalysis. Phillips, a facile writer, scholar, and speaker, is the author or editor of some twenty-five books.